I’ve been wanting a couple of fences that I could stick out in a field and jump on occasion. We don’t get a lot of opportunities to school XC, and sometimes it takes a little while to get my brain back into XC mode (for gods sake, let him go forward and jump out of stride). 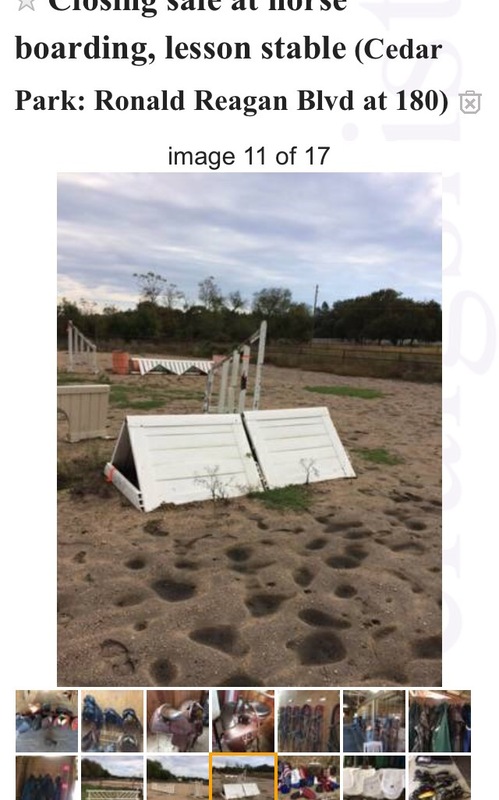 Having a couple fences that we could just go out and gallop over once a week or so would be really helpful. 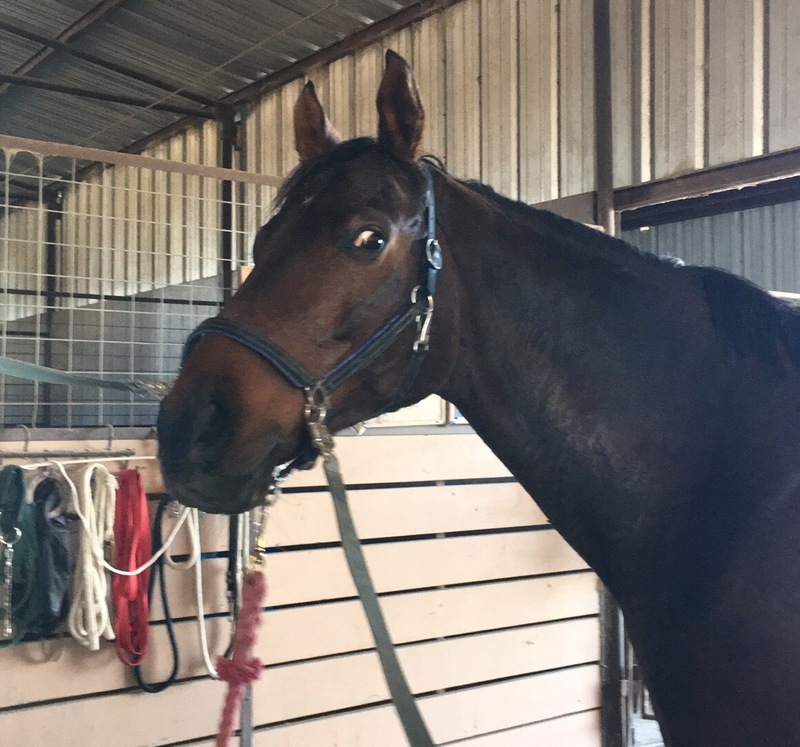 The barn owner said that I was more than welcome to put whatever I want out in the giant hay field, as long as I move it out of the way when they cut hay. Therefore as soon as I saw the coop in that ad, I knew I needed it. It was perfect. Not only could I use it as a galloping fence, I could also use each side as its own skinny and make combinations. Uphill, downhill, bending lines, angled lines… so many possibilities. I wanted that damn coop, and I wanted it bad. The sale was supposed to start at 9, and I rolled in at 8:55 to see a bunch of other cars already there. I was about 10th in line when the gate opened. Luckily everyone else made a beeline for the barn, whereas I made a beeline for the arena. Most of the jumps had sold privately earlier in the week, but there were still 7 standards, a handful of poles, and yes, MY COOP, still sitting in there. I couldn’t believe no one else had bought it, all the roll tops and gates and walls were already gone. Fine by me though! I snatched the tags off of literally everything in the arena and brought them in to pay before anyone else could even think about looking at them. MINE. All mine! Well… really the standards were for my friend who just bought her own place, but she was running late so I claimed them for her. They weren’t in as good of shape but they were only $5-$8 a pop… at that price who could resist? Plus they let us take some poles and jump cups for free. I’m not that into garage sales, but barn sales are amazing. I pawed through all the stuff in the barn but there’s just not a whole lot that I need. I did snag a roll of vet wrap and a new jar of ointment for 25 cents each, and an awesome wide broom for my trailer for $4. Things that excite horse people. We’re weird. It was a bit of a jigsaw puzzle fitting everything in the back of the truck (uh, I did not really realize how big the coop was) but we got it done. 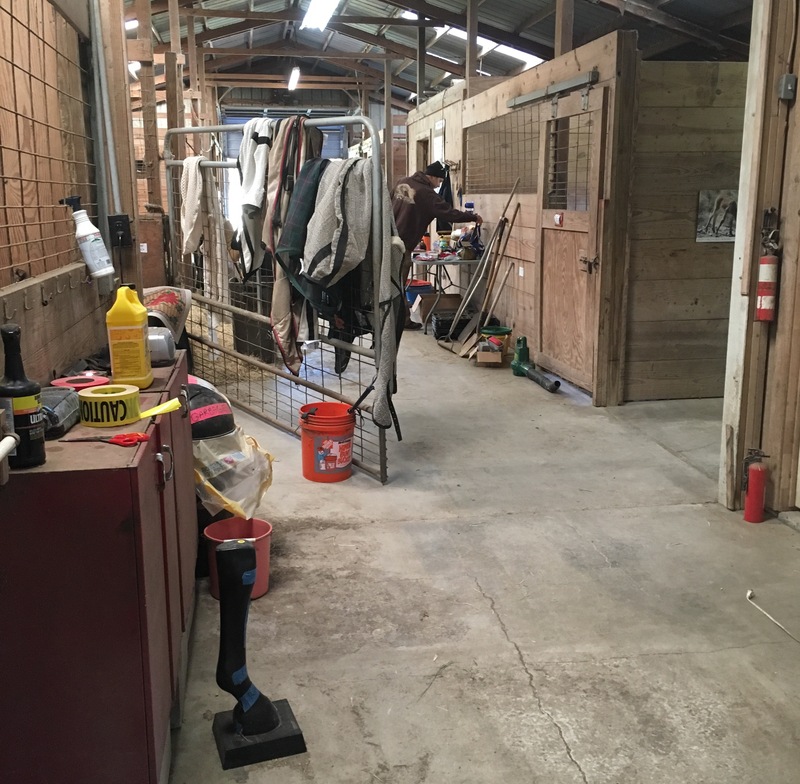 I dropped all of my friend’s stuff at her house, then went out to the barn to find just the right spot for Coop. both halves of the coop, 2 wing standards, 5 regular standards, and 5 poles. Bam. It’s only Novice size though (2’9″ tall and 4′ wide at the base), so I think I’m going to drill some holes in the top and add 6-8″ of brush for extra height. Then it can be a true Training size gallop fence. I just need to find some brush. I can’t even express how excited this makes me. It is, no doubt, one of my top 5 most favorite purchases ever. Doesn’t take much to make me happy. Previous Exclusive Luxe EQ “Last of It” Sale! I love the things horse people get excited about buying 😂 what a score!! hey check out Micheal’s or somewhere for fake brush. They usually have fake stuff that will work 🙂 And congrats! VERY COOL! 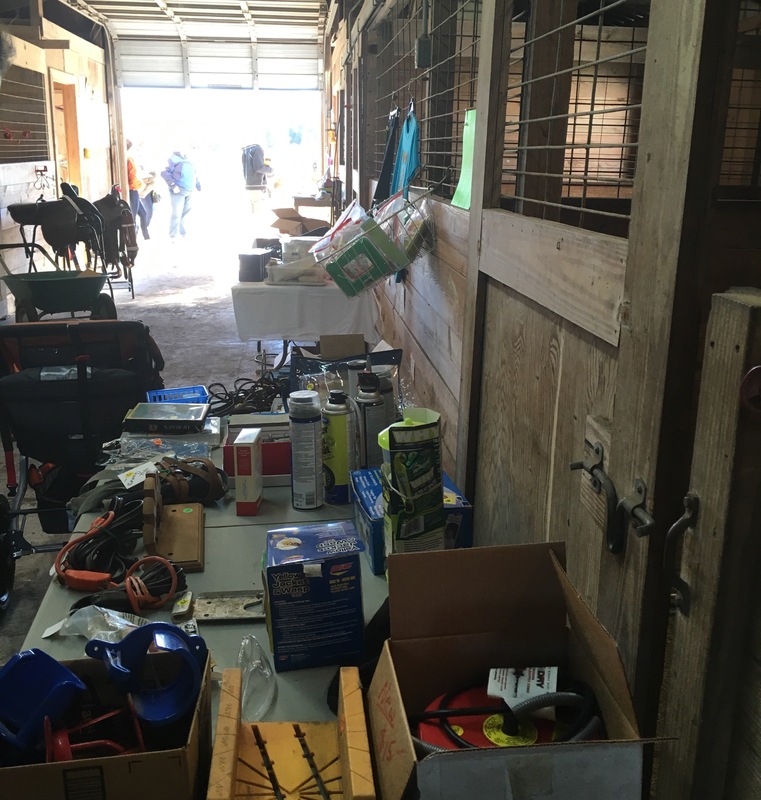 (i wish we had more barn sales and less garage/yard sales)!! I was told that the limbs from a fake xmas tree work really well… I’m trying to hunt down a cheap/free old busted one. The BO at my barn has used cheap broom heads as brush on some jumps. I haven’t inspected them closely but I can if you are interested. That’s a smart idea, but I want some greenery. i loved how excited you are over this. its awesome and adorable. Last year I literally snuck across the street late one night and stole the neighbor’s Christmas tree from their curb while they were watching tv. Rob just shook his head at me. The funniest part was that I stuck it in the bed of my truck, so it was VERY OBVIOUS where it went. I’m excited for your new coop! But to be honest I’m really just stuck on the $4 broom… I’m so jealous. I really didn’t even need a broom but I couldn’t leave it. It’s wide enough without being TOO wide, and the bristles are nice and stiff. Perfect trailer broom. Brooms are definitely one of those weird horse people fetishes. My broom broke off its handle this week and I’ve been in a state of disarray ever since. Christmas stuff will go on super sale pretty soon – fake trees for cheap! Oh, good finds!!! Tack sales are my favorite. Can’t wait to see pics of the coup out in the field, especially with you and Henry jumping it! That is so exciting! Is it made out of vinyl fencing? That’s a pretty neat idea if it’s light. It’s heavy duty reinforced PVC. You can anchor it down with stakes, but yeah it’s really light. I unloaded it and dragged it into position by myself. That’s really awesome! I will have to keep that in mind for when we have our own place. Still jealous. Also think instead of brush, you could print out Bobby’s face in all emotions, glue them to cardboard, and use that instead of brush. Just saying. It’s an option.